Our friends over at Cardz ‘N’ Scrapz have very kindly given us some Graphic 45/Echo Park Photo Freedom kits to give away. These ones are the G45 Transatlantique ones and you can see them in the Cardz ‘N’ Scrapz store HERE. We were intrigued by these kits and had to give one a go to see how useful and versatile they are….. I am not a scrapbooker/project lifer/album maker. 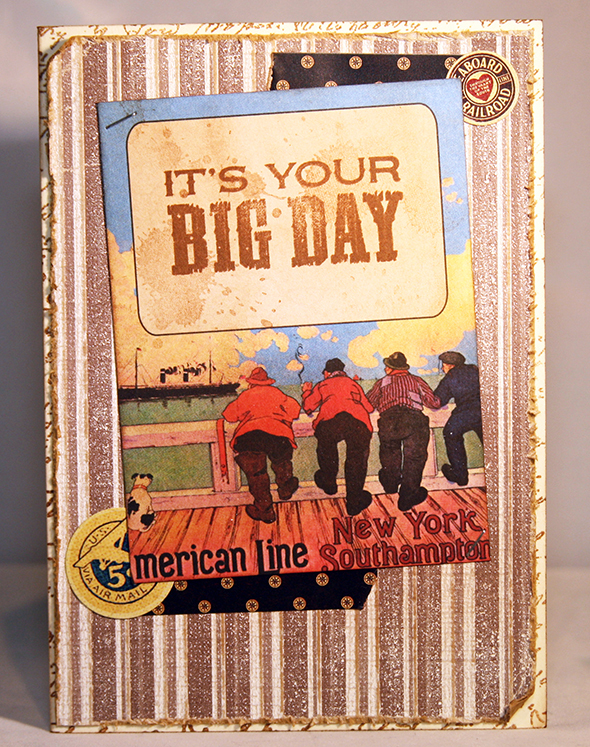 I make cards, alter things and throw in a bit of mixed media on the side. But I saw a lot of potential in these kits. The journaling cards and sticker embellishments could easily be used up on cards if you have them left over from doing your layouts. 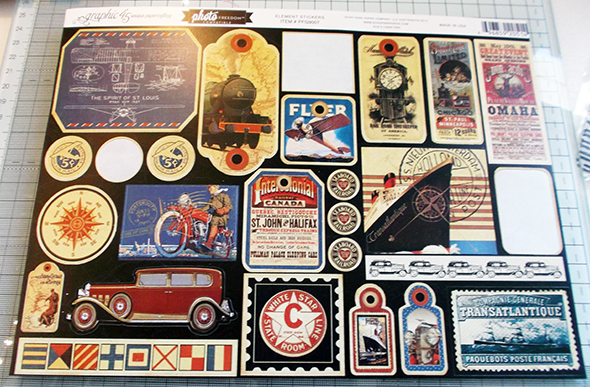 There are lots of sticker elements – this is just half a sheet of them…. The journaling cards also have a lot of potential on cards and mini albums etc. I took one of the cards…. 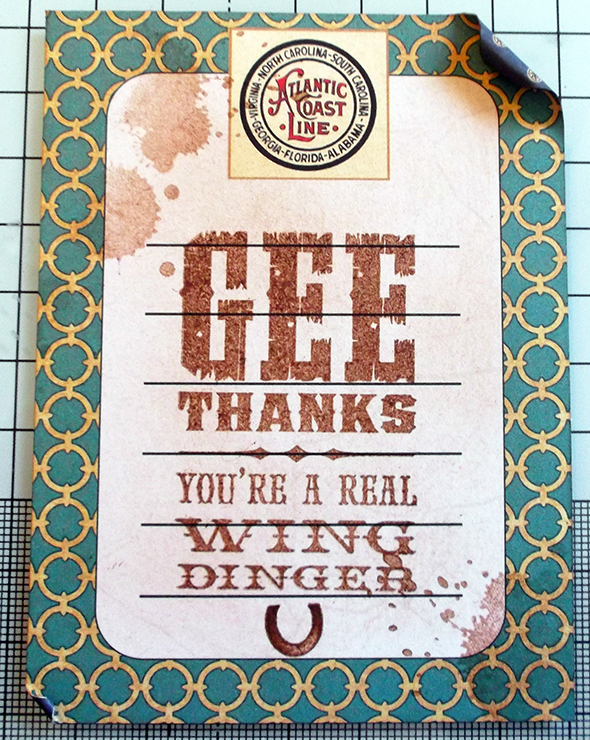 And inked it up to age it a bit, distressed up a corner and stamped a sentiment on it…. 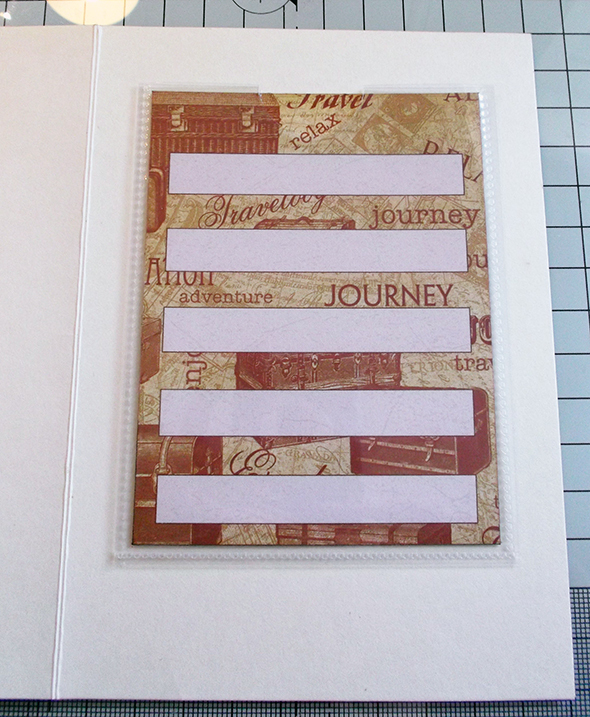 I then had some fun combining these altered journaling cards with the sticker sheets to make some fun cards. 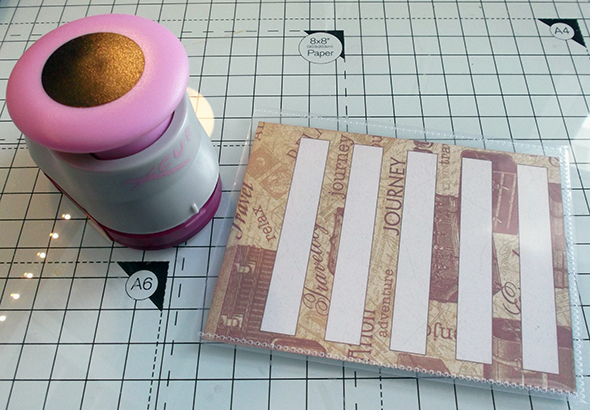 I even cut up a page protector to get the little journaling card pockets. 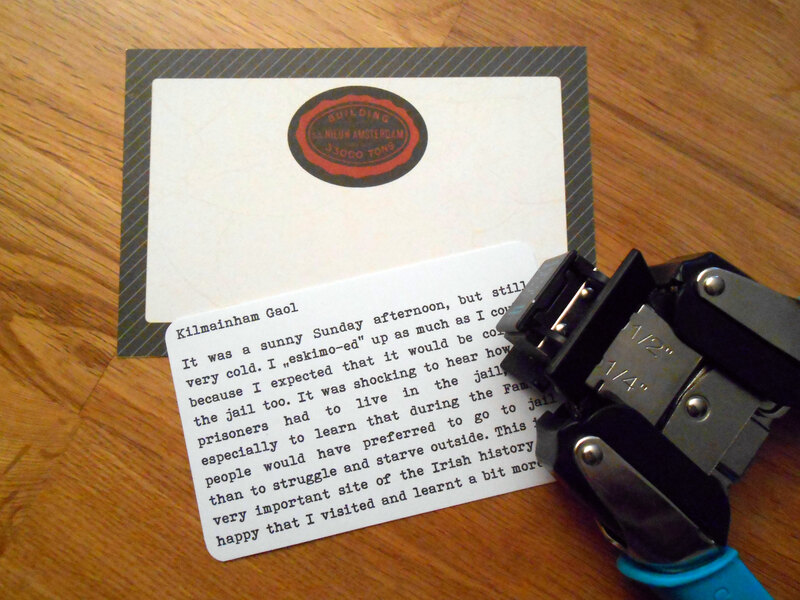 I punched a slot in the pocket and added in a journaling card – with a gift card stuck to the back of it. 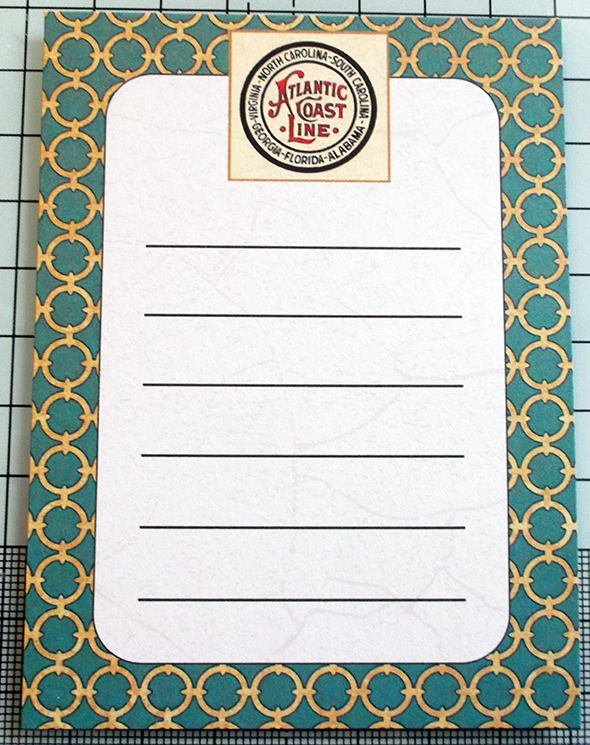 There is space to write a little note on it for the recipient. I do believe Timi has a more orthodox approach to share with us using these kits…. 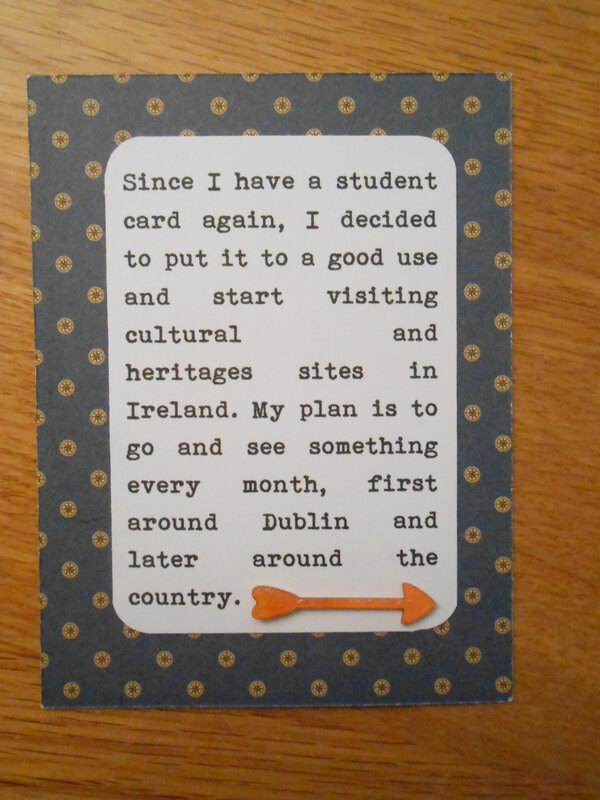 Since I went back to college and I have a student card I decided to put the student ID to a good use and avail of student discounts on cultural and heritage sites in Dublin and maybe around the country too. My first stop was Kilmainham Gaol. As I don’t have much time lately for mini album, I thought I would document my trip on an insert in my Project Life album. 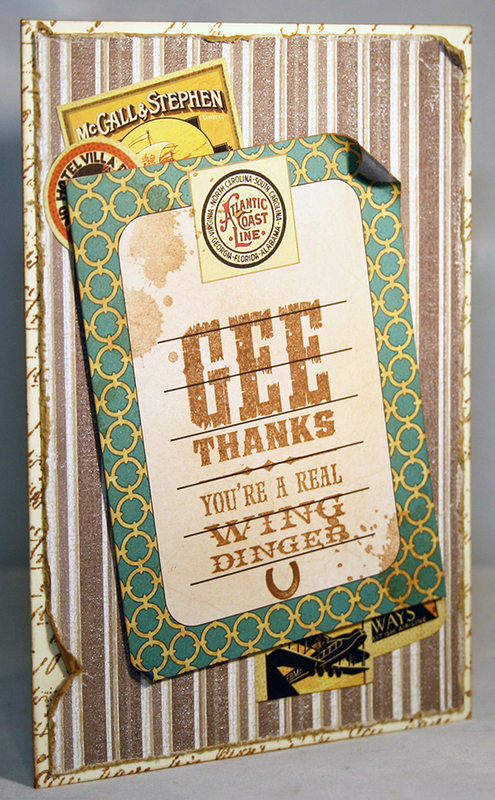 The vintage style of the G45 papers was a great match to my photos. 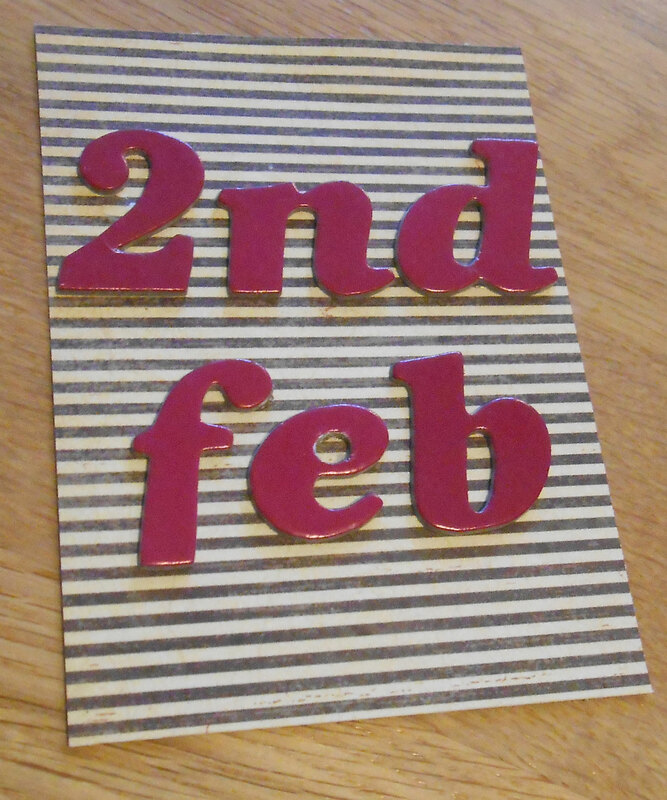 I started with a date card. I used a piece of scrap paper from another G45 collection and added some Thickers to it. Then I created a title card with using one of the 4×6 cards that had a banner on it. I simply added the title using the letter stickers that were in the collection. I edited my journalling on my computer. I used Bohemian Typewriter font. 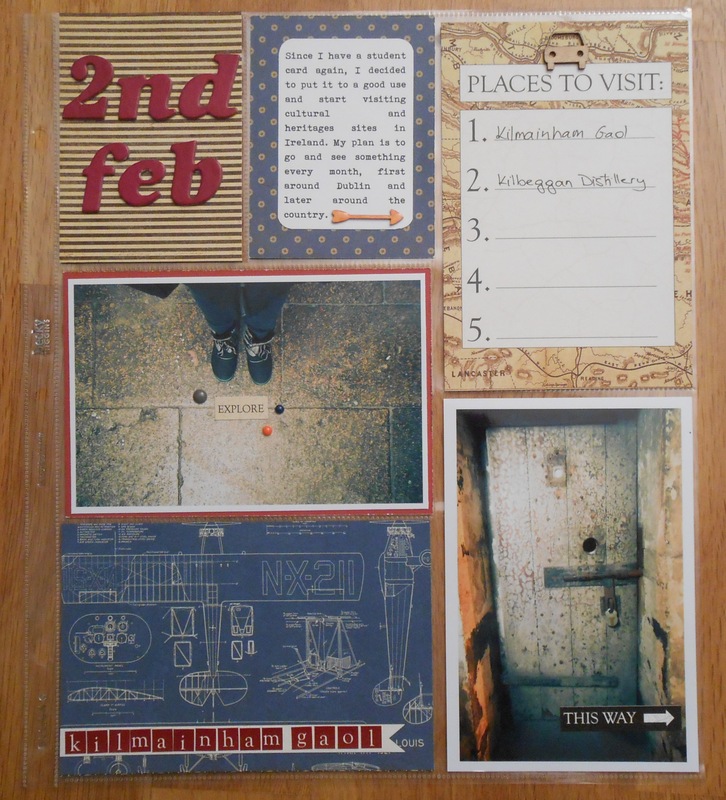 I wanted to make two journalling spots, one to tell about my “mission” to visit heritage, cultural sites and the second one about the trip itself. 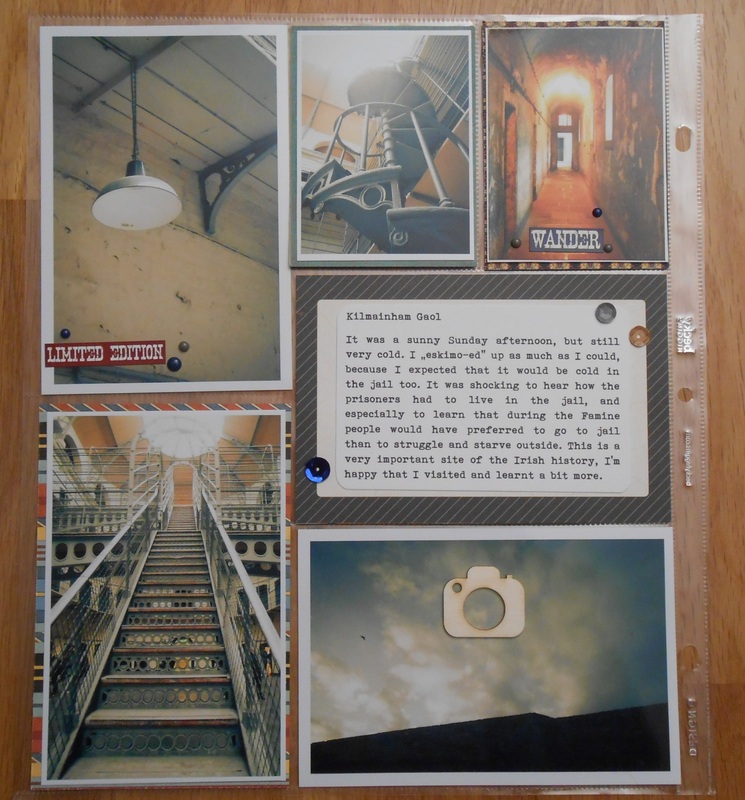 I chose a 4×6 journalling card from the collection and adhered my printed journalling on it. I didn’t mind to cover a the design element, it wasn’t the same theme anyway. Then as a little decoration I added some Studio Calico sequins. To decorate the smaller journalling spot I added a chipboard arrow that I coloured with orange marker and covered with Glossy Accents. The arrow lead the eye to the pocket besides with a title ‘Places to visit’. After my photos were printed I placed them into the page protector. I used 10×12 protector as an insert in my weekly spread. I added a few bits and pieces to decorate my page a little bit. I thought that my photos and papers were busy enough and I didn’t add too much embellishing. I like to take pictures of me standing somewhere, it reminds me of how it felt to stand there. 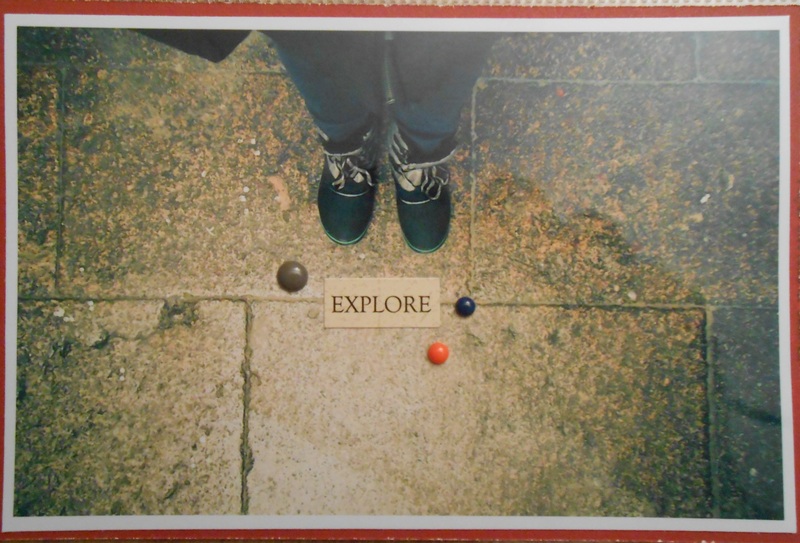 I added a sticker from the G45 Photofreedom Kit that says ‘explore’. And just added a few enamel dots to go with is. This is the back side of the insert. Like on the front of the insert I only added very few embellishments. 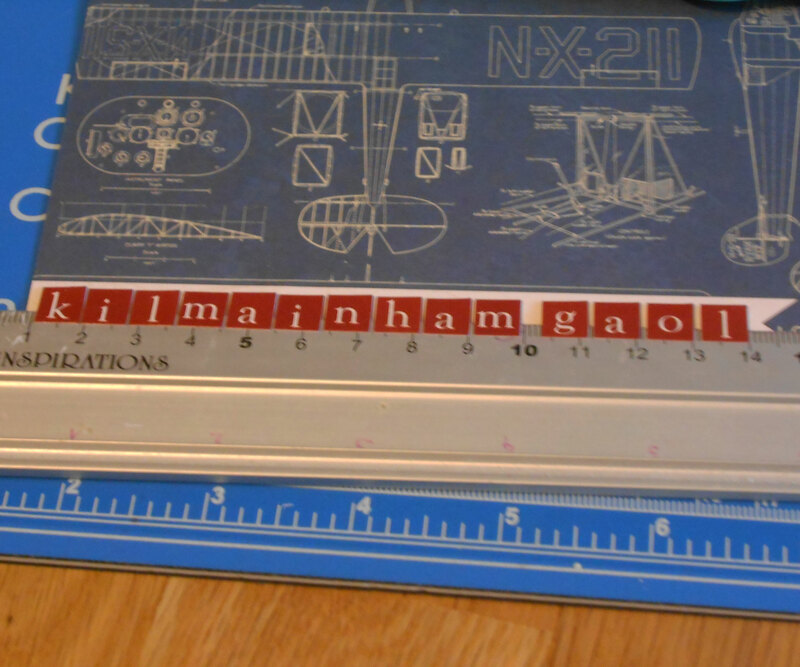 I used the word stickers from the G45 kit again, they are great to add interest to the page. I hope we inspired you with our take on the uses of the Photofreedom Kits. To enter for the chance to win just leave a comment on this blog post telling us what you would like to do with the kits. Two winners will be selected at random to win one of the kits each. 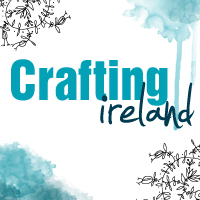 Entries will close on the 26th February at 5pm. Good luck!! I would use the elements to make a cute mini album!!! I would love to use this in my International Smash book 🙂 Thanks for the chance to win! 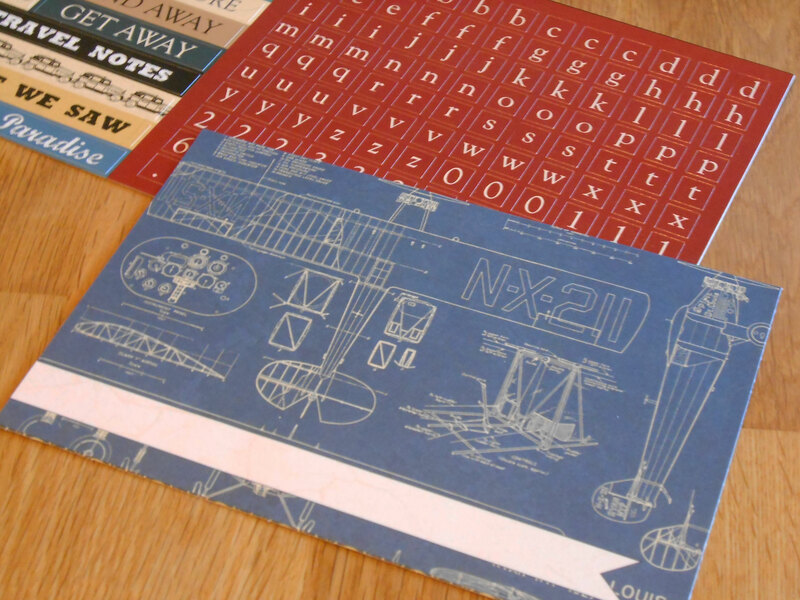 I would use these beautiful papers to make a 3D layout and then frame it ! I’d love to use these in card making and a mini album to gather photos together that are just sitting in the computer! These kits look amazing and love what you’ve both done with them. Thanks for the chance to win. Fabulous kit, I love G45 : It is crying out to be a mini album! 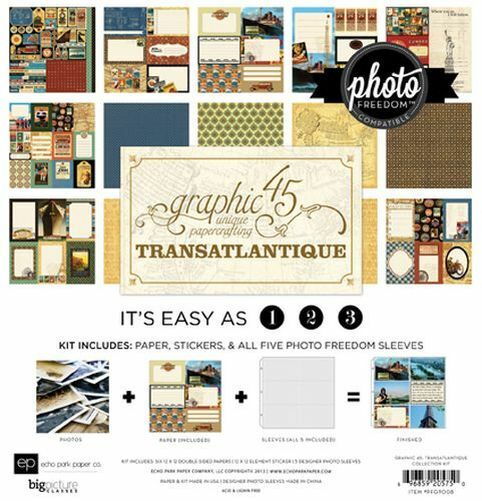 I would love to use the Graphic 45 kit on a family tree type journal/project. Oh the anticipation and excitement of possibly winning this really fab kit! I think I would make this into a Memory Book full of photos of my eldest sons life so far to include in the Memory box I am making him for his 30th birthday! The only time I keep a journal is when I travel. This would be perfect. 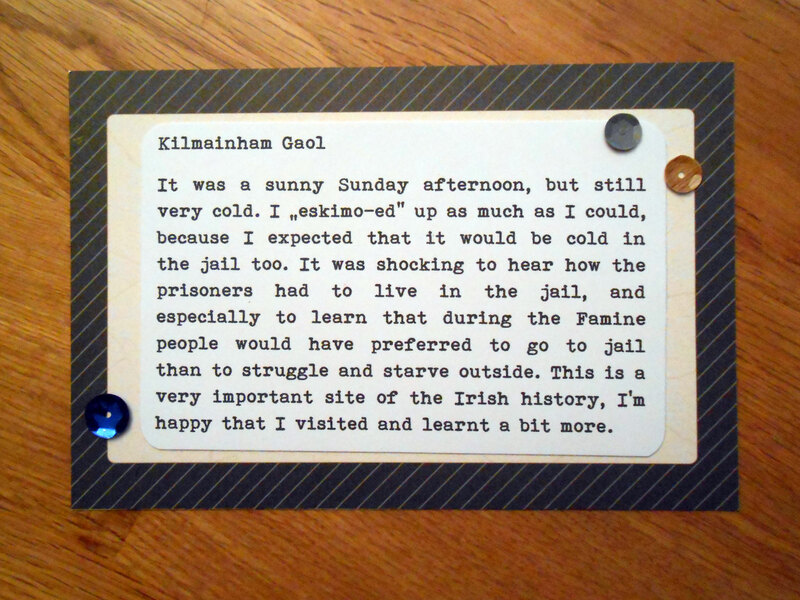 I’ve also visited Kilmainham Gaol and am hoping for a return visit to Ireland one of these days. We, too, were at the jail on a cold, dreary, rainy day, making the atmosphere eerie and depressing. I couldn’t begin to imagine what being sentenced there would have been like. I’m primarily a card maker so really enjoyed seeing how you made use of the elements, Nicole. I love Graphic 45. I love the too much. I have multiple packs and never want to cut them up!! LOL!! Don’t know if you are offering this to us gals across the pond, but I wanted to share that the paper is beautiful to work with and who ever wins this will love it. Now I have to see if I can find that print for my uncut stash.